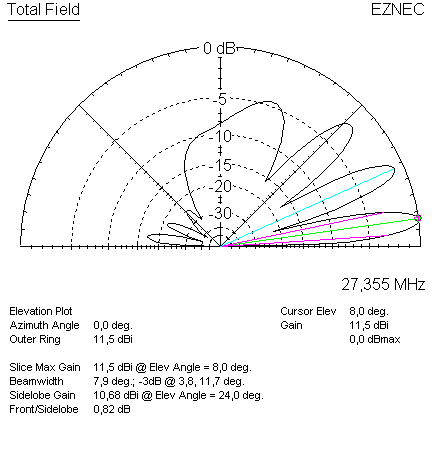 Very small beam, with a diameter of only 3,3m, round. 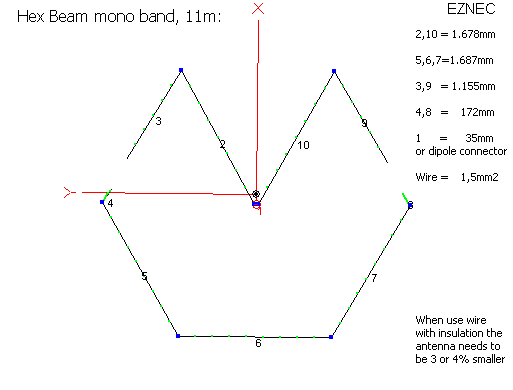 Easy to build antenna, with 6 rods of about 1,9m. 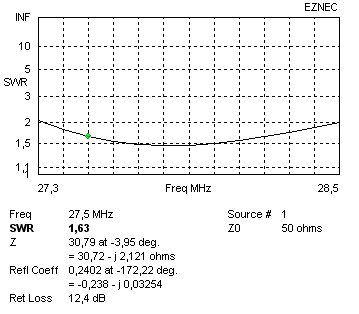 (depends on the insulation material of the wire). 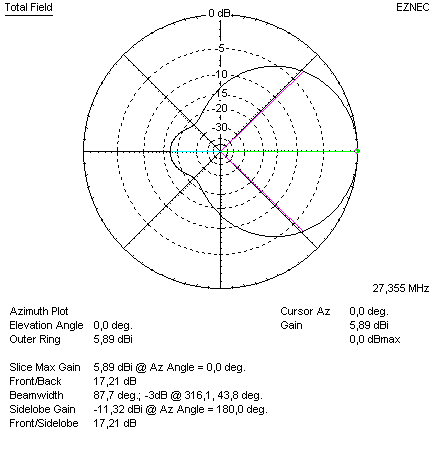 The SWR can be changed by changing the length of the dipole.